Take a moment and scribble down on a piece of paper, define what characterizes a high quality chair. When it comes to an office chair, I like chairs that aren’t pleasant to sit in for long periods of time. I like a modest level of comfort for a short duration. I tend to not want comfortable arm rests either. To me, a quality office chair provides a brief period of relief. But a quality chair also reminds me it’s time to stand up again. Because I believe it’s healthy to alternate sitting and standing. I also value a chair that lasts, a quality chair should have longevity. Though longevity isn’t a linchpin. You on the other hand may not find quality in a chair that only provides temporary relief. You may find quality in a chair that provides ever lasting relief. I don’t. 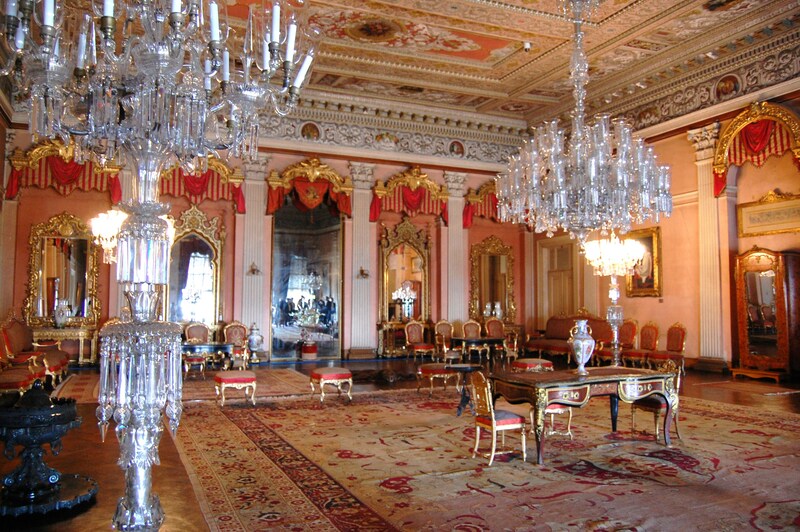 Last summer I had the good fortune to visit the Dolmabahçe Palace in Istanbul. It was an absolutely jaw dropping experience. Most of the palace has been converted into a museum. And it’s been a museum for a very long period of time. Scattered throughout the palace are many, many chairs. Many of the chairs are coated in gold. These chairs, albeit used at one point in time, now serve as visual entertainment for museum visitors. The quality of these chairs are judged by their beauty. And their age. They are valued for their longevity. But they aren’t valued for their practical use. It really doesn’t matter if they were to fall apart if someone sat in them, because nobody is permitted to do so. I started out asking you what characterizes a high quality chair. Chances are you only considered characteristics that matter to you. At that point, you might be willing to take a rather absolutist stance about what dictates high quality in a chair. As if quality is an intrinsic aspect of a chair. Now that I’ve given you a broader frame of reference, you can see that the characteristics that matter to you probably don’t quite line up with the characteristics that matter to others. Now, you might inquire about intended use when asked the question “What characterizes a high quality chair?”. You might inquire about what is cherished by those purchasing it. Quality doesn’t exist in a vacuum. It’s a measurement, or more often a judgement, that individuals employ. Quality is simply a relative comparison of some set of characteristics. Characteristics tend to be intrinsic. But, which characteristics are measured and compared, that’s subjective. It’s tempting to purport that quality is somehow baked in to the objects around us. Or, not baked in. You hear this all the time. Such and such phone or car is high quality. But that’s a subjective assessment. Quality is in the mind of the beholder.